Firstly, I would like to thank everyone who reads this blog. 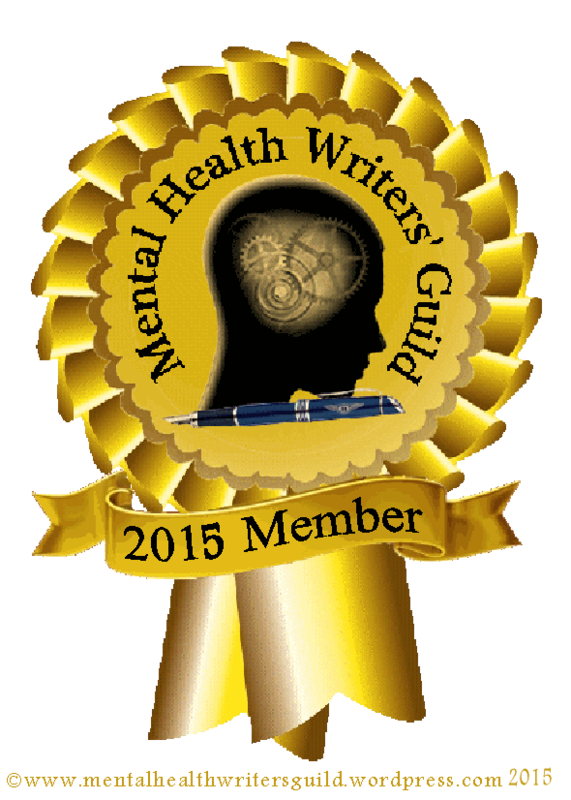 While this blog is therapy for me, it is also written to inform and educate others regarding mental illness. Without you, this blog wouldn’t have a purpose. Secondly, I would like to give some background on where I was when this blog was started versus where I am now. When I first started this blog, I was freshly graduated from outpatient treatment. I was writing not only as therapy, but because I was inspired. I wanted to inform and educate others. I wanted to share my personal experiences and take the stigma away from mental illness. And while there was some rockiness in regards to this blog (my two year absence), I have come so much further. I have learned so much and made great strides in my personal life. While I should never have stopped writing, it was a necessary break for me. I need the time to separate from the friend who started the blog with me. The friend who walked away. I hope to continue writing and educating others on this blog as I continue my own journey through depression and anxiety. I hope this blog has helped you and I continue to encourage you in your own journey with mental illness. I know it’s a difficult path, however you can make it through. Know that I am here for you and I am rooting for you just as I hope you are rooting for me. Please note that for the future, because of time restraints I will be posting only once a week. Until my stint in outpatient treatment, I had my fair share of struggles with psychiatrists. I often felt like they weren’t listening to what I was saying. And out of the 3 that I had seen, the 5 different medications they had prescribed hadn’t worked. With the initial psychiatrists I had seen, I felt ignored. You walked in for a 15 minute session, perhaps a 30 minute initial session and you talk to them. They ask you how you feel, and you give them some background history on your mental illness. At the end of that 15 minutes, they either up your dose, change your medication or tell you to continue taking it. This often frustrated me, because I would be told to continue taking something that I felt wasn’t working. I’ll admit that a psychiatrist’s job isn’t easy. There are no tests that they can perform to find out exactly what medication you need to take for your illness. It’s all guess work based on what you tell them; trying to figure out which receptors in your brain are working overtime or are not working at all. But it’s still frustrating trying different types of medications and having them not work or getting viciously sick on them because of the way they are interacting with your body. My previous therapist had heard so many complaints about psychiatrists and medication that she decided to go back to school to become an APN, or nurse practitioner. She felt that because she saw her clients weekly, it would be easier for her to prescribe a medication that would work for them. I think this is admirable because at the age of 50, she is going back to school and getting her bachelor’s, master’s and doctorate to become a nurse practitioner. Now that I’ve finally found a medication that works, I feel better. I’m not so down anymore. I’m glad I followed my doctor’s directives at the outpatient center and I’m glad that I’ve found someone who listens to me. If you don’t feel like your doctor is listening to you or if a treatment plan isn’t working, speak up. Try and explain to them how you feel or, look for another doctor. You’re allowed to see other doctors. Find a fit that works for you and will provide the best treatment so that you can recover. Be proactive, it’s your health that’s at risk. I have a hard time trusting people. I’ve watched so many people walk away from me that it’s hard for me to trust that friends are going to stay in my life. I wonder if it’s something wrong with me that makes people walk away. As I’ve been told, there can’t be something wrong with the entire rest of the world, so it has to be me. There has to be something wrong with me. Too bad I can’t figure out what it is. Maybe my standards are too high. I think that friends should be there for each other no matter what. I’ve answered the phone before at 3 o’clock in the morning because a friend needed me. Why can’t someone do that for me? I think that friends should stand by each other through thick and thin. I only have two friends that I can count on, and even then I’m hesitant to do so. A part of me thinks that if I push too hard, or make too many demands, they’ll walk away and then I’ll be left with no one. Maybe, a part of me pushes at people because I don’t expect them to stay. It’s almost like I’m pushing them to see where their breaking point is. Because I expect them to leave, I push until they do. Unfortunately, I’m still disappointed and upset when they do. I’m not sure why I push at people. I wish I wouldn’t though. I would like to have more than 2 friends. I wish I could trust people, but they haven’t given me any reason to believe that I can. In many ‘friendships’ I feel like I have to do all of the work. I’m the one reaching out to them and trying to plan things. That seems to be something that they don’t reciprocate, so what’s the point of trying when they won’t do the same for you? I wish I could believe that my friends wouldn’t walk away from me, but so many have left me that it’s impossible to believe that. I wish I could figure out what the problem is, then maybe I’d have friends. This is a continuation, part 7, of my daily journal of life after outpatient treatment for depression, and anxiety. Please click for Part 1, Part 2, Part 3, Part 4, Part 5, and Part 6. Vacation was amazing!! I lived in the moment and all of my stress and depression melted away. I felt so good on vacation. Of course, the minute I walked through my door at home, everything came crashing down onto my shoulders. So I guess I need to learn how to live like I’m on vacation. That’s easier said than done. So I’ve decided to get a dog, or more specifically an emotional support animal. I’ve been putting it off lately, but I’ve finally decided that it’s now or never. I can’t keep waiting forever. I’m looking forward to having an emotional support animal. Hopefully it will help me with my depression. On the flip side, learning to live like I’m on vacation is not an easy task. I’m struggling with it. I was so happy and living in the moment while on vacation and now that I’m home, everything is getting to me. I feel like I’m upset every other day. I wish my depression would get better. Hopefully a dog will help. Today was a horrible day. I spent most of the day crying. First, I found out that the third dog that I was interested in was no longer available for adoption. Then, I found out that my best friend had changed his plans, making me feel like he had lied to me. Normally, we get lunch or dinner every Thursday, but today I feel like he is blowing me off. I feel like I’m not important or wanted. All of which is a little ridiculous, because my boyfriend was hanging out with me today so it should have been a good day. At least he lets me use his shoulder to cry on. He even cried a little because I was so upset and he hates seeing me that way. He can be so cute. Of course, I cried when he left. I hate when he leaves. I know I’ll see him again, but I hate that we only get to see each other twice a week. I wish we could be together more. It’s hard to stay angry at your best friend when he does nice things for you. I’ve been angry at him ever since I felt like he lied to me. But today, he might have found me a puppy and then he stopped by my work on his way home just to say hi. It was very nice of him and I made sure he knew that I appreciated it. It’s just been a struggle with him having a new girlfriend. I feel forgotten until he suddenly decides to do something to show me that I still exist in his life. I just wish those gestures weren’t so few and far between. That can make it difficult to remember. I got the puppy!!! I was so nervous that my application was going to get turned down. I went and visited them yesterday, but they didn’t have any of the unadopted puppies in so I was told to come back tomorrow. Boy, was I surprised when she asked me if I wanted to take the puppy home with me that day. I wasn’t ready at all!! I had to ask my mom to puppy-sit so I could go get everything I need for her. I’m sure she’ll be a handful but it’ll be so nice having a dog to come home to. I can’t wait to train her!!! Please stay tuned for Part 8. Here are the links for Part 1, Part 2, Part 3, Part 4, Part 5, and Part 6. I often feel forgotten; by my friends, family, even acquaintances out in public. It’s almost like I fade into the background of life. Perhaps because of this, I long to be a priority to someone. I long to be important because I rarely feel that way. As you know, I have my best friend and my boyfriend. They are my two biggest supporters and I rarely feel forgotten when I’m with them. Recently, my best friend just got a girlfriend and while I’m happy for him, I’m desperately scared that I’m going to be forgotten. Based on past personal experience, I’m usually forgotten about when a ‘friend’ finds a new significant other, so because of this I’m afraid I’m going to lose my best friend. Only having two good friends, I long to make more and am scared of losing the ones that I have. They are very important to me and because of them, I feel stronger in my fight against my depression. In a world where people just don’t pay attention, I don’t want to be one of those people lost in the crowd. I want to stand out but so often I feel like I just fade into the background, like I’m just another face in the crowd. Feeling like you’ve been forgotten is one of the worst feelings in the world because being forgotten leads to loneliness. Perhaps this is one of the reasons that I have depression. I have been forgotten and ignored by so many people whom I once called ‘friends’. Maybe someday I won’t be one of the forgotten. Until then, I will continue to do what I can to stand out in a crowd. 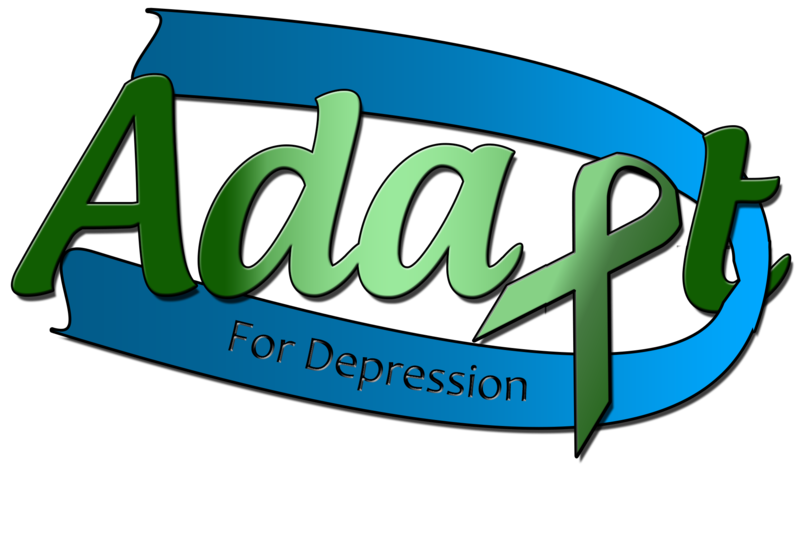 I will continue to fight against my disease and against the stigma that is attached to mental illness. Hopefully, my voice, my fight, and my non-profit will one day be heard. Maybe then, I will no longer be forgotten.